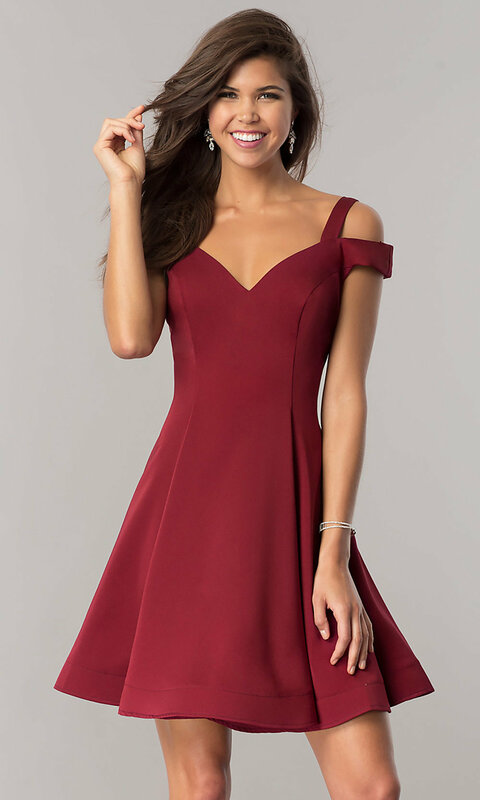 Looking for a short homecoming dress with a modern look? This beautiful a-line dress from the designers at Dave and Johnny features a trendy cold-shoulder neckline that is hot this season. The off-the-shoulder v-neckline is mirrored in the back while being secured by bands that drape over the shoulders. The princess-cut party dress features wide pleats that add volume to the playful short a-line skirt. 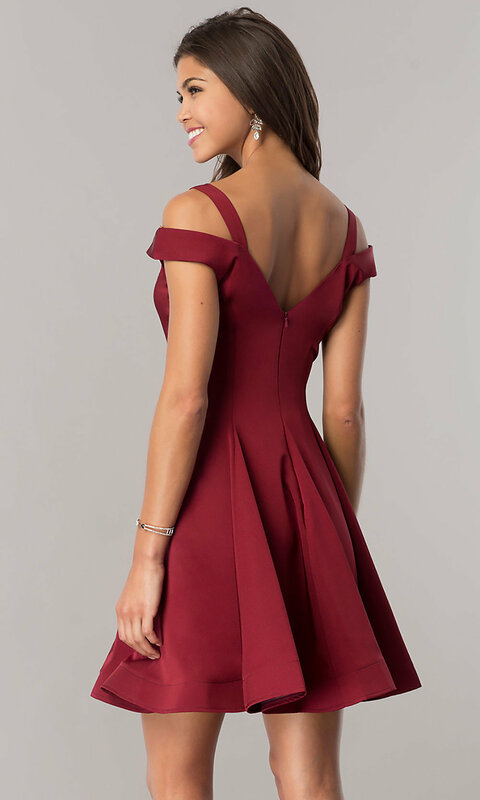 For under $150, this affordable short homecoming dress with a cold-shoulder neckline is offered in junior sizes and offers a contemporary style choice for semi-formal parties. The model wearing burgundy is 5'9".